The Garmin nüvi 2589LMT has a bright 5.0-inch display with pinch-to-zoom capability, so you can quickly get a closer look at any onscreen information. 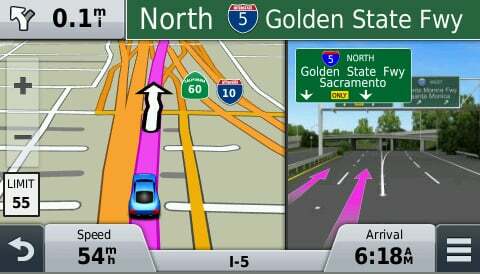 Dual-orientation allows you to use Garmin nüvi 2589LMT either horizontally or vertically. Included with the Garmin nüvi 2589LMT are detailed maps of Australia and New Zealand. With free lifetime¹ map updates, your routes are sure to reflect the most up-to-date maps, points of interest (POI) and navigation information available. 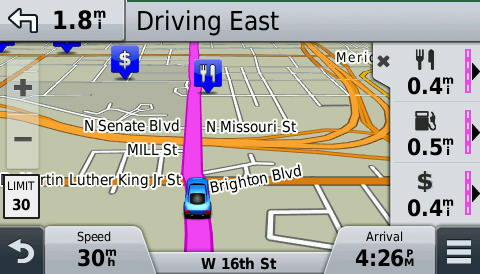 New maps are available for download for the useful life of your GPS device, with no fees. With so much data, Garmin nüvi 2589LMT makes it easy to find addresses and millions of POI – that is, businesses, stores, restaurants or other destinations. Our POI database also includes accurate, relevant information sourced from Foursquare. Now, when you search, the most relevant Foursquare result appears at the top of the list. It’s an easy way to discover new and popular restaurants, shops and more. When you use the Smartphone Link app with your Garmin nüvi 2589LMT, you can also check-in on Foursquare and access more detailed information about the POI, including ratings, price range and hours of service. Garmin nüvi 2589LMT features Garmin traffic to help you spend more time on the move. 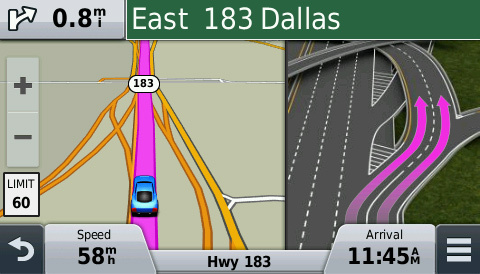 With Garmin traffic, your driving map remains onscreen at all times. 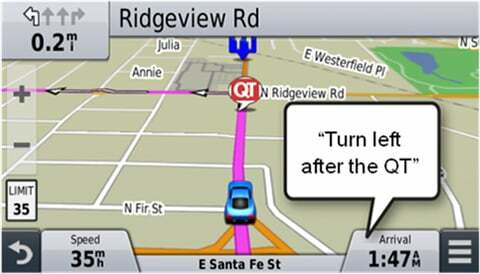 Traffic alerts appear to the side of your map and messages are spoken, too. Garmin traffic can give details about the situation, such as how many minutes of delay to expect and if there are any possible detours. It can even confirm whether or not you are on the fastest route. 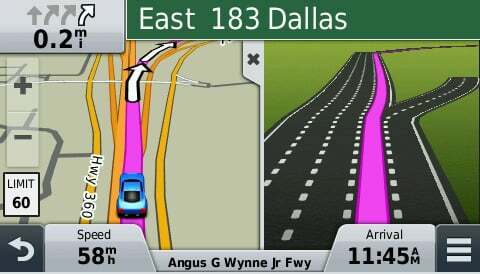 Lifetime traffic² entitles your Garmin nüvi 2589LMT to receive free traffic information for its useful life, with no ads and no subscription fees. 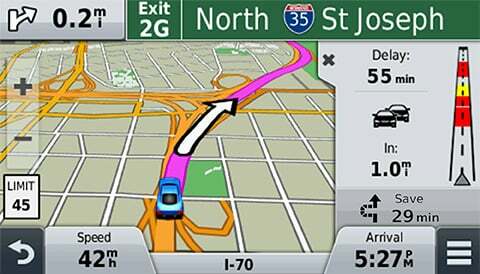 Garmin traffic is delivered straight to your nüvi – no smartphone needed. Drive with confidence, even when you’re out of cell phone range. Garmin nüvi 2589LMT is dedicated automotive navigation that does not rely on cellular signals and is unaffected by cellular dead zones. 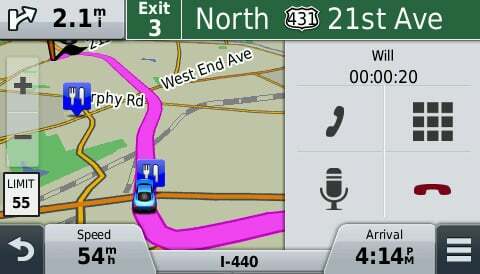 Garmin nüvi 2589LMT redefines “spoken turn-by-turn directions” with Garmin Real Directions, easy-to-understand driving directions that guide like a friend, using recognizable landmarks, buildings and traffic lights. Sync a Bluetooth-enabled device³, such as your smartphone, to Garmin nüvi 2589LMT for hands-free calling through its integrated microphone and speaker. Stow your phone in your pocket, purse or console and still make and take calls. Garmin nüvi 2589LMT has the luxury of voice-activated navigation. Speak, and your device intelligently responds; your hands can remain on the wheel. Of course, you can also navigate using the touchscreen interface. Smartphone Link is a free mobile app that connects your Garmin nüvi 2589LMT with your iPhone® or Android™ smartphone. When paired, your nüvi can use your phone’s existing data plan4 to share information – such as HERE traffic which provides live traffic updates every minute, where you parked, POIs and your destination. 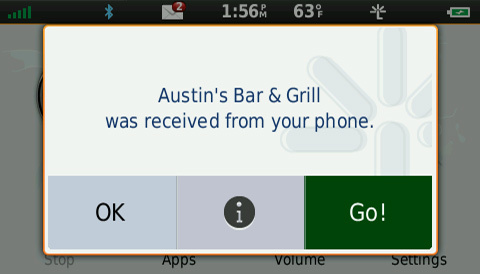 With the Smartphone Link app, you can conveniently send locations and addresses from your phone straight to your nüvi. Up Ahead constantly informs you of nearby services, including food, fuel and ATMs. Garmin nüvi 2589LMT displays speed limit, current speed and estimated time of arrival. With a quick glance, you can read the name of your current street. Garmin nüvi 2589LMT also provides school zone alerts.